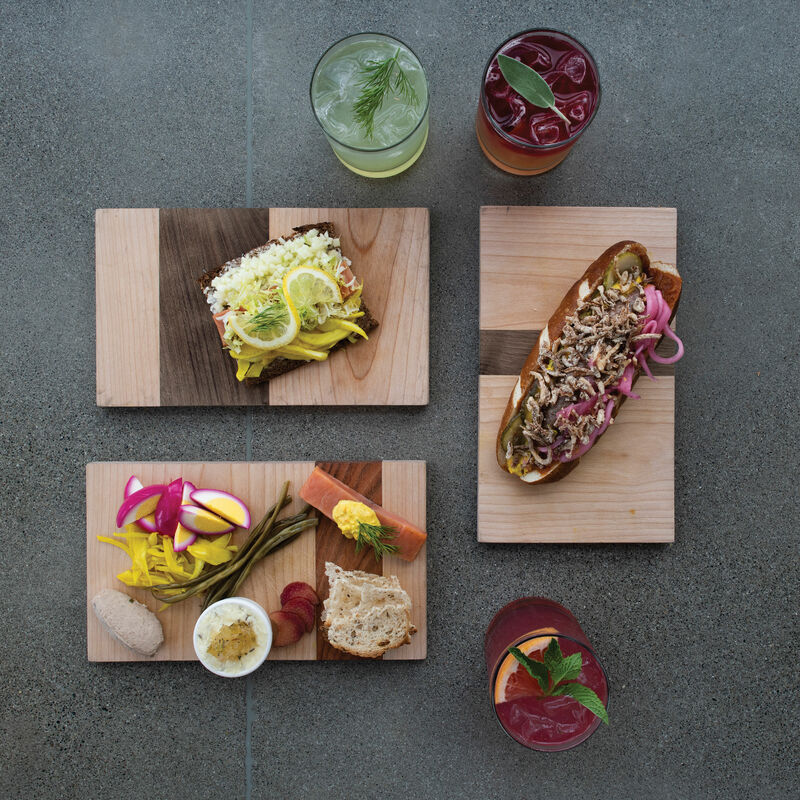 Two new establishments—a beer hall and a cafe—exalt Ballard’s Northern European heritage. (Clockwise from bottom) an actual smörgåsbord of food, smoked salmon smørrebrød, and a hefty Danish dog. Adam McQueen got quite the warm velkommen at his first Sons of Norway meeting in Ballard two years ago. Inside the Leif Erikson Lodge, McQueen introduced himself: newly arrived from Boston, a man of Norwegian and Swedish descent, an eight-year vet of the beer world, and, oh by the way, he planned on bringing an honest-to-Odin drinking hall to Ballard. A room full of members, many in their 60s, 70s, and 80s by McQueen’s guess, raised their drinks in the air. “They started doing a skål chant I had never heard before,” says McQueen, who’s 36. “They’re throwing their mugs back and forth” and amid the toasting he thought, I have come to the right place. Ballard is the cradle of Scandinavian life in Seattle. And of course it is. The northwestern neighborhood along two bays and a canal has been a home to loggers, boat builders, engineers, and fishermen—though in vastly diminished numbers—who found the area much like their motherlands: forested, watery, with, most notably, a dining culture that gets down with the local bounty. Yet there are only a few enduring places that represent Ballard’s Nordic food scene, like a specialty market and some bakeries. 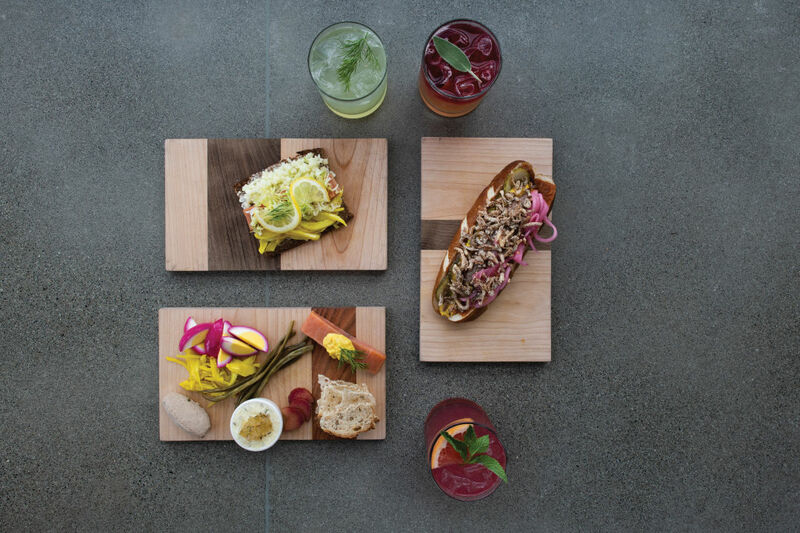 But two newcomers, McQueen’s Skål beer hall and Freya cafe, prove that Scandinavian dining isn’t all Swedish pancake feeds, nor is it a thing of Ballard’s storied past. In May the Nordic Museum debuted on Northwest Market Street in its newly built center of utterly sleek design and high-reaching walls inspired by glacial fjords. Within such a modern space dwells Freya, a resolutely traditional cafe. Executive chef Brendan Arntz of City Catering Company preps most everything off-site in South Lake Union. Lucky, then, that the menu is composed of easily constructed and easily satisfying plates, like smörgåsbords (quenelles of pork rillettes, rye toast, juniper-smoked salmon) and smørrebrøds (dark brown rye topped with smoked salmon, pickled fennel, apple, requisite lemon slice garnish). It’s not edgy, but classic. 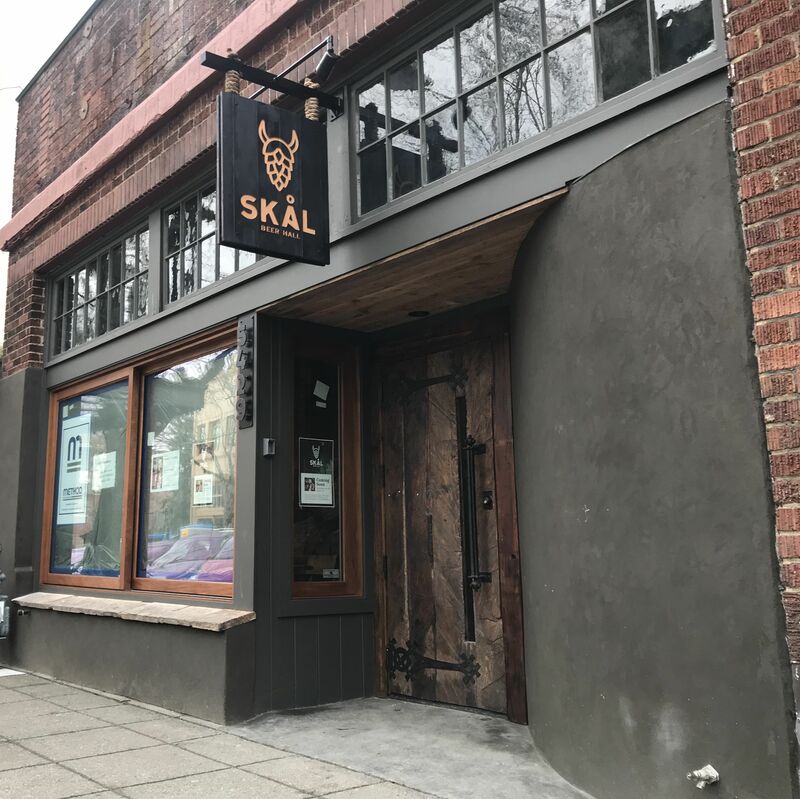 When McQueen opens Skål in mid-October on Ballard Avenue, his kitchen will be run by the chef and aquavit distiller at the erstwhile Old Ballard Liquor Company (which closed in July), who simply goes by the name Lexi. “Updated, approachable Viking food” is how Lexi describes the menu—game meat skewers of venison, elk, and goose alongside rotisserie pork, or maybe even roasted rabbit, plus deep-fried potato with bacon, smoked barley arancini-style balls, grilled sausages, cheese and pickled herring boards. It’s sustenance that’ll stand up to the myriad beer offerings and aquavit-based cocktails. Skål, McQueen’s modern interpretation of a Viking mead hall, is going for a rustic feel with long tables, exposed brick, and a stone fireplace. But, says McQueen, “It’s not a hollow theme piece.” Rather, he envisions it as a place where a spontaneous skål chant becomes a little custom for the next generation of aquavit enthusiasts.